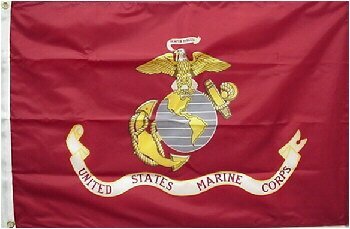 This official Marine Corps flag is perfect for any Veteran or enlisted person. Two grommets are on the left edge of the flag for hanging. The "indoor" version of the flag has a pole sleeve and gold fringe. The 4x6 size is mounted to a staff. If you have any questions about this product by Flags Unlimited, Inc., contact us by completing and submitting the form below. If you are looking for a specif part number, please include it with your message.